Mrs. Andrea Lorick, was taught the gospel by Elmer Sembly, Jr and his wife Jean, then added to the body of Christ on February 10, 1994. Andrea is married to Brother Eric Lorick, for over 40 years and they both serve at the Inner City Church of Christ in Baltimore, where Bro. Eric Lorick is the Senior Minister. The Lorick’s have 2 adult children Erica Gross (Eric) and Joseph Lorick (Rachelle), they have also been bless with several grandchildren. Andrea serves as the Student Affairs Coordinator and Women’s Program Instructor at the Northeast Baltimore Bible Institute and College. 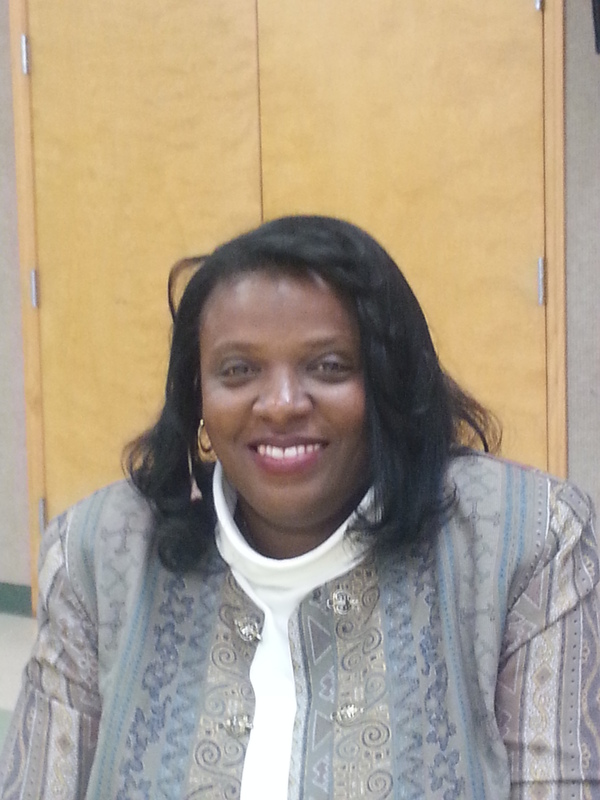 She also has a position of Business Manager at University of Maryland Baltimore County for over 25 years. Andrea has taught ladies bible classes, coordinated ladies retreats, and spoken at ladies workshops over the past few years. Andrea Lorick has bachelor’s degree in accounting from Madison University and is a graduate of the University of Maryland Baltimore County Graduate School in Administration. She is also a graduate of Sunset Bible Institute and Northeast Baltimore Bible Institute & College. In 2011 Andrea received accreditation from the Agape Christian Counsel Center as a Counseling Skilled Helper. Sister Lorick is a member of the National Christian Counseling Association in Saratoga Florida. Her favorite hymn is” You Never Mention Him to Me” this hymn is a constant reminder of the grace we are given and how we must share it with the world. In 2009 Andrea and her husband Eric Open “Agape Christian Books Gifts and Music Bookstore in Parkville Maryland. The store specializes in Acappella Music and Church of Christ authors. Mary Carter is a native of North Carolina and has lived half of her life in Philadelphia, PA. She is the daughter of Evangelist Quincy C. Carter and Mary Sanders Carter. Mary was baptized into Christ at the tender age of 9 at the Girard Ave Church of Christ, where Bro. James Stewart was minister in Philadelphia. President Elza Huffard of Northeastern Christian College awarded her a full scholarship, a memorial tribute to her deceased grandfather who was employed there in Villanova, PA. She graduated and earned an Associates Degree in business and secretarial studies. This was the beginning of the leadership preparation for her diverse career path: Sr. Administrative Assistant at The Disciplinary Board of the Supreme Court of PA; Personal Assistant to Iris Henderson, Democractic Council Woman; Administrative assistant for Jimmy Carter Presidential Campaign; Church Administrator at Vine St. Church of Christ; Mary Kay Sales Director and 3 time car winner in her career; Legal secretary for various law firms in Center City Philadelphia; and she has recently retired from Charlotte Mecklenburg Police Department Communications/Division of Criminal Investigation August 2015. Mary has always been active in the Lord’s work: teaching Sunday School, teaching one-on-one Bible lessons for evangelism; singing and directing choral groups (founder of the Gospelaires at Northeastern Christian College); directed and recorded the Golden Bells album by the Inspirations of Philadelphia; recorded Let It Rise, He Is Lord, and The Benediction at the Sugar Creek Church of Christ. As a result of these experiences, she has created a workbook titled Vocal Integrity, wherein she is a personal coach, as well as a facilitator for acapella choruses. Mary Carter is currently a faithful servant at the Gold Hill Church of Christ, Fort Mill, South Carolina, Jeff Troffer, Senior Minister. Johnnie Coley, MS is a devoted Christian who grew up in Daytona Beach, Florida. She believes that her years spent in Christ are the best years of life. She maintains passion about this great God she has come to know and she refers to God as the love of her life. Johnnie loves to share God’s Word with others and she is eager to help bring about encouragement, focus and maturity as we all walk with the Lord. She has a bachelor’s degree in Psychology from Florida A&M University and a master’s degree in Human Services Management from Nova University. 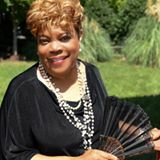 Johnnie is the author of three books entitled “New Birth in Christ”, “The Truth about You: The Resurrection of the Sinful Nature”, and “Parenting with Power”. She also co-authored a children’s book entitled “Yes Dear, There Really is a Devil”. Johnnie has also recorded a CD featuring music she has written to encourage others and be used as a vehicle to encourage and share the goodness of God. Her music has also been used very effectively in conjunction with the Christian Parenting Workshop that she created. She has conducted this workshop at several children’s homes around the country. She has also spoken at the National Christian Child and Family Services Conference in Nashville, Tennessee, as well as the Spiritual Growth Workshop in Orlando. As a Social Worker at the Mound Dora Children’s Home, Johnnie works with the children in the home program as well as directing the single parent program. She also teaches the Ladies Bible Study Class at Orange Avenue Church of Christ and has spoken at ladies’ days, ladies’ retreats, and singles’ retreats. Her greatest ambition in life is to reach her appointed and purchased place of inheritance, in Heaven and to be forever with God who loves her the most. My name is Alexis and I am interested in becoming a ladies day speaker. I am currently 28 years old. For the past eight years I have been teaching children’s and ladies bible classes, planning ladies days and other ladies fellowship events. I have spoken at two of our ladies days and will be speaking again this year. So I am a novice but attempting to stretch my boundaries and get more experience. I have self-published one ladies devotional “Strengthening a Sisterly Bonds” and am completely my second book. Which will be a weekly devotional book. Due to health issues I do not hold a job but instead am very involved in my congregation. I also paint old saws and things when I am able, including murals in our congregations classrooms. It is my hope to share with others my experiences and knowledge and be a worker for the Lord.